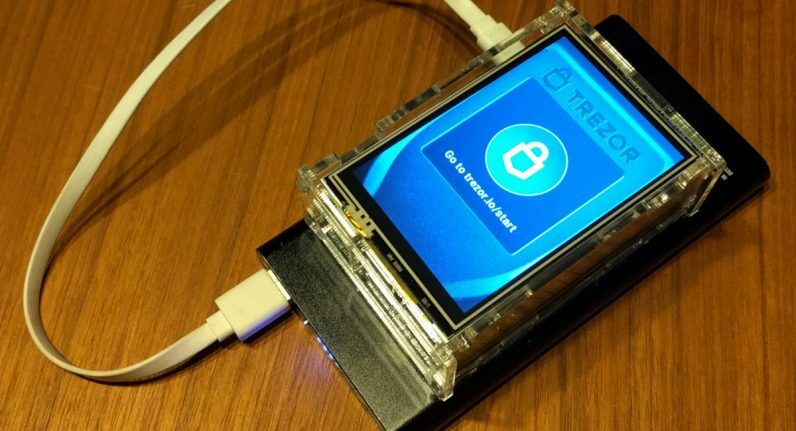 Pavol Rusnak, one of the main creative forces behind popular cryptocurrency wallet Trezor, has shared a nifty guide on how you can build your own cryptocurrency hardware wallet using a Raspberry Pi and the Trezor Emulator. To put this contraption together, the developer used a Raspberry Pi 3, a 3.5-inch RPi display, and an SD card. Once he had all these parts, Rusnak loaded the device with Raspbian – an operating system for Raspberry Pi boards – and installed the Trezor Emulator. And since the emulator code is completely open-source, you can always audit the script at Trezor’s Github page here if you have any concerns about its legitimacy. Rusnak says that once you connect the device to the Trezor web wallet, you can use it just like the real thing. Of course, the Raspberry Pi-powered alternative is not as fast and compact as an actual Trezor wallet. But before you move all of your funds to your DIY wallet, Rusnak warns the Trezor emulator is intended for testing purposes only. “Never use the emulator for storing any value,” the developer warns. Indeed, there are safer ways to store your cryptocurrency. Still interested building your own wallet? Runsak has uploaded detailed step-by-step instructions on his blog here.